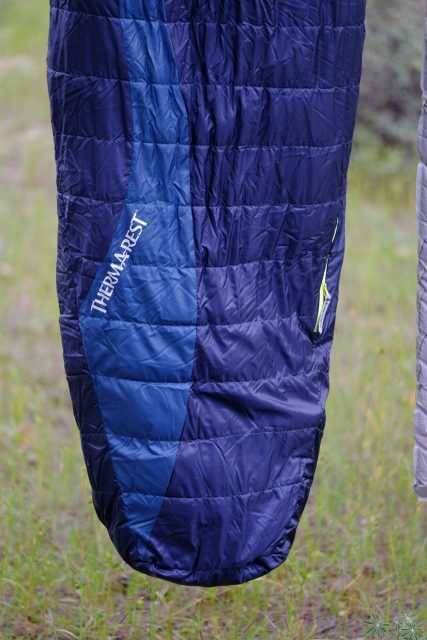 For what seemed like decades, sleeping bag technology languished. 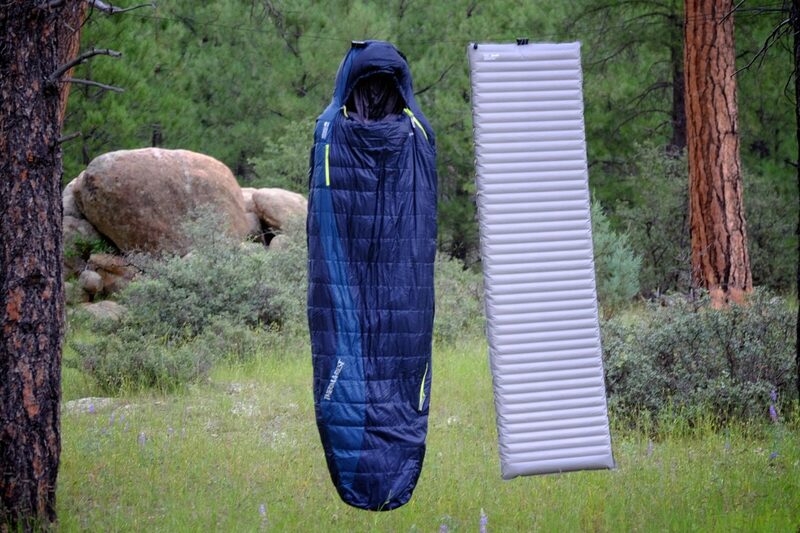 There were a few minor innovations with regard to baffle shapes and fabrics improved slightly from year to year, but not until recently has the humble sleeping bag received the engineering advancements it deserved. This is particularly true of bags in the Therm-a-Rest line like the four-season Altair HD. 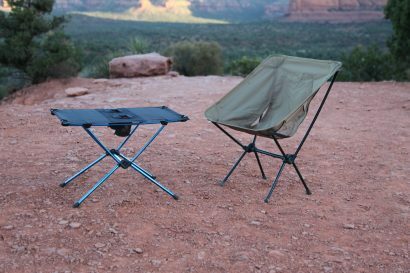 Therm-a-Rest is not new to the bag market although their journey to get to the Altair has been wandering and not without some quirks. In the 1990s, Therm-a-Rest tried to get into the bag biz, but that project petered out quickly. 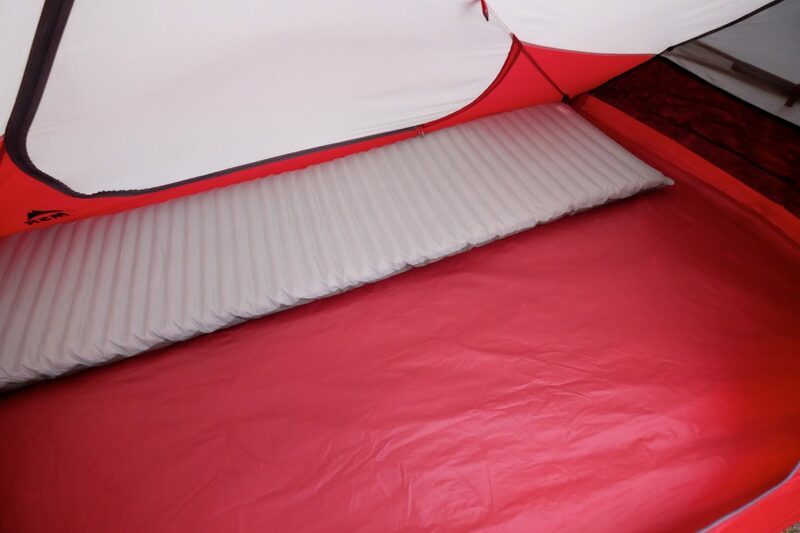 More recently, they have had much better luck and produce one of the most comprehensive catalogs of insulated sleep systems in the outdoor industry. In 2013, I reviewed their three-season Antares bag and decided right away it was one of the most comfortable bags I had ever used. When I had a need for a colder weather bag, the Altair was at the top of my list. Like the Antares I love so much, the Altair is cut wide throughout the shoulders and hips providing loads of wiggle room. To keep weight and bulk to a minimum, the central portion of the lower half of the bag has just a small amount of down fill. 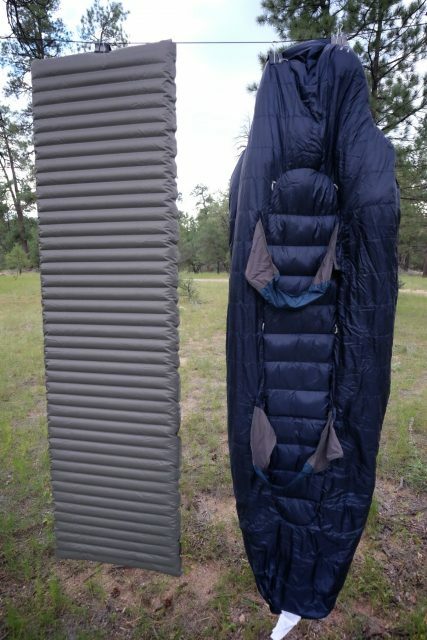 The logic behind the design is sound as the sleeping pad provides the bulk of the lower insulation. I pair my Altair HD to the Therm-a-Rest XTherm Max with its impressive 5.7 R-value. To keep the bag located on the mattress, the Altair has two large lycra bands which wrap around the pad. I have used other bags with full-length pad sleeves and they’re a hassle to use. The two wide straps on the Altair are infinitely better. 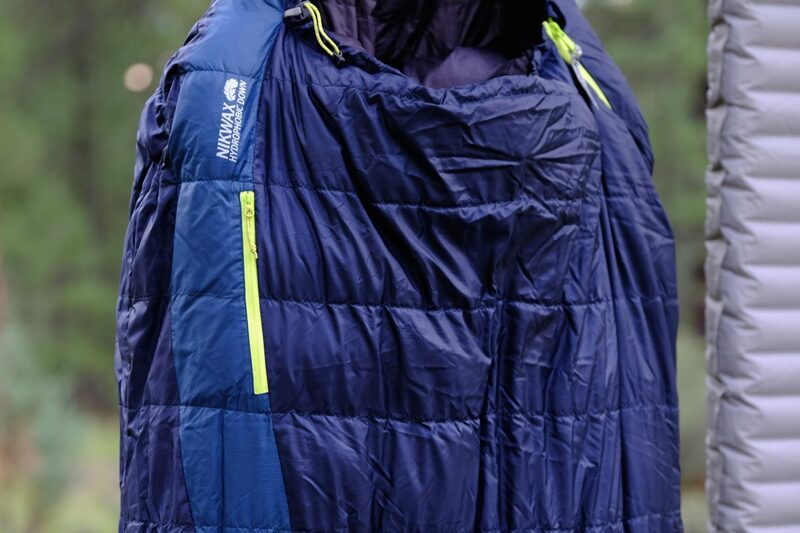 The bag’s less obvious advancements, albeit the most important, include Nikwax Hydrophobic 750+ down fill, and a revolutionary new fabric called ThermaCapture. Traditional down has always been the weight to warmth gold standard, but stodgy old critics used to castigated it as a liability in wet climates. The latest crop of water-resistant down fills have all but silenced those nay-sayers. Nikwax, the waterproofing mavens of the outdoor world, have not only created their own water-resistant down fill, they have found a way to do it in an environmentally friendly process. Some people may not care about the pervasive use of fluorocarbons in the outdoor industry, but I do, and you should too. I’m a big fan of the zippered pocket designed for lip balm. I’m sure that’s the only reason it’s there. Slipping into the Altair, I did notice a certain level of stiffness with the inner fabric layer. Not to say it was uncomfortable, but it’s obvious something unique is afoot. 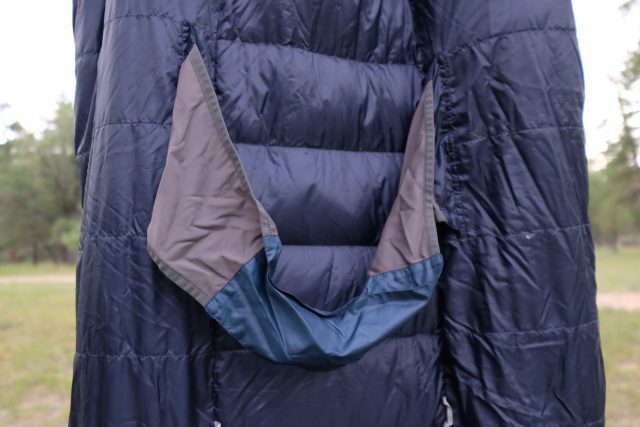 Opening the small accessory pocket on the outer aspect of the bag reveals the reason—the ThermaCapture layer isdesigned to reflect heat back toward the sleeper. After spending my first frozen night in it I can confidently say it works. The rest of the Altair has all of the refined attributes I have come to expect of a quality bag. The hood is well shaped and when cinched tight around my head doesn’t develop any deep wrinkles or cold spots. The foot box is well shaped, generously sized, and the side zipper is long enough to allow me to kick my feet out if I get too toasty. Side sleepers may struggle if they secure the bag to the pad with the two keeper-straps, but it doesn’t bother me at all. At an ounce under 2.5 pounds for my regular length bag, it’s surprisingly light. The lower rating of 10ºF seems accurate and correlates with the coldest night I have encountered in the bag. At that temperature I was definitely chilly, but not miserable. 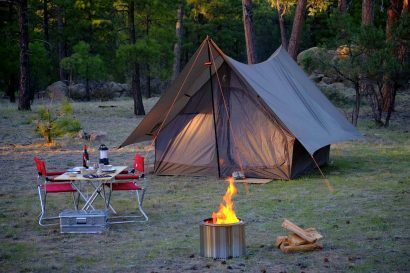 Misery was staved off that night with an MSR Windburner stove and a 2-liter MSR Dromedary bag I filled with hot water and hugged all night like a warm and wiggly baby seal. Without it I would have been a popsicle. It’s also worth admitting, I sleep cold as ice. 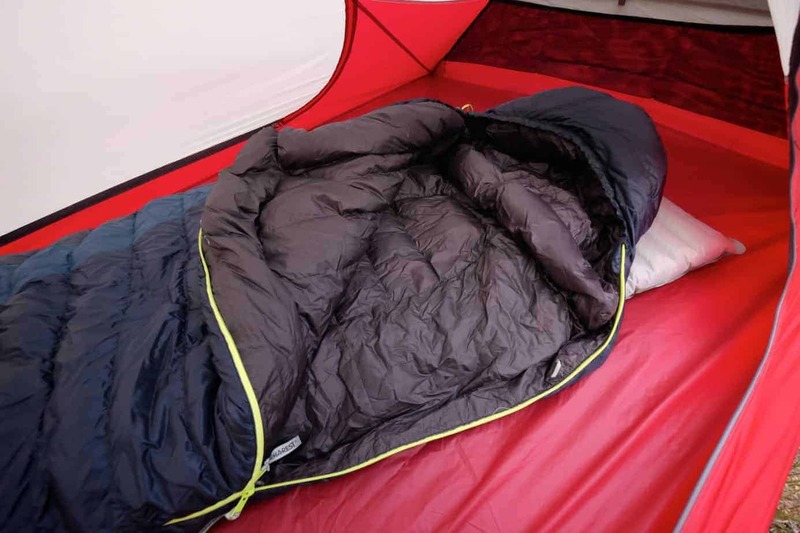 If you’re in the market for a sleeping bag with a generous cut, superb weight to warmth performance, and moisture-thwarting down fill, put the Altair HD on your short list. It’s hard to believe the most technologically advanced product I have tested in many years is a sleeping pad, but it’s true. During my resent visit to the Therm-a-Rest manufacturing facility in Seattle, I spent quite some time standing in front of the machines used to make NeoAir pads and still couldn’t wrap my head around how they do it. The warmest pad in the NeoAir lineup, the XTherm Max, is easily my favorite backwood mattress of all time. With a 5.7 R-value, the rectangular shaped Max version of the XTherm has a large footprint of 77 by 25 inches. The 2.5-inch thickness might strike some as too thin, but after hundreds of nights atop one version of the NeoAir or another, I’m convinced it’s more than plump enough for most backcountry sleepers. 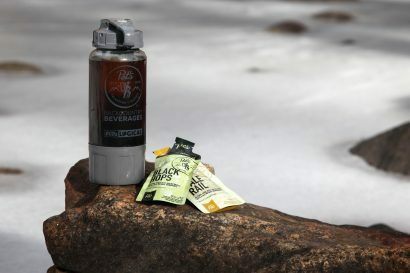 For those of us prone to travel under our own steam, the 1 pound, 7-ounce weight puts the XTherm Max in the realm of feather light and the packed size is a smidgen bigger than a Nalgene bottle. With its updated top layer introduced to improve skin-to-fabric feel and reduce the noise associated with previous NeoAir pads, the XTherm Max is a considerable leap forward in sleep comfort. The internal layers of ThermaCapture heat-reflective fabric help keep cold air from invading the laterally welded baffles for a cozy night’s sleep. Even on frozen ground I’ve yet to feel a chill from below. I can probably sleep on a bed of nails if forced to, but only with a good pillow. After years of searching for my favorite head-bed, I found it in the form of the down-filled pillow from Therm-a-Rest. On its own, it’s quite comfortable in a way no inflatable or foam pillow can be. Down breathes better than other materials and there’s no denying the plushness of a bag of goosey goodness. 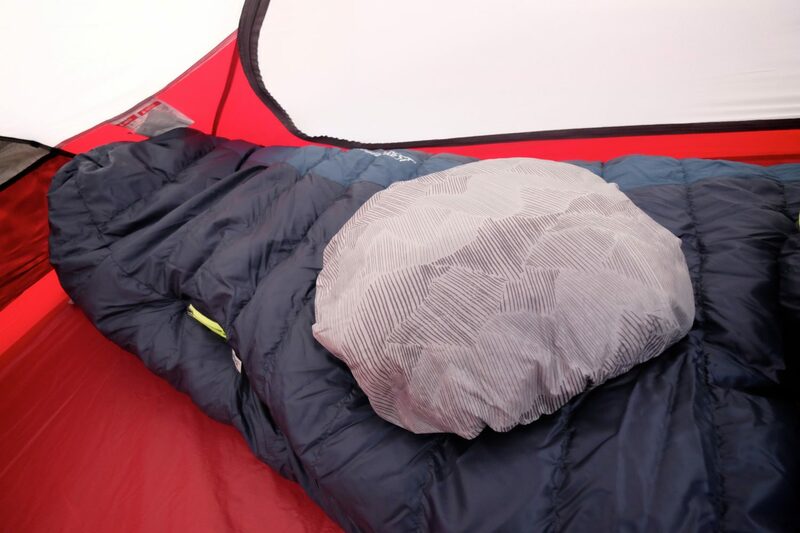 Filled with 650-fill power Nikwax hydrophobic down, it’s easy to wash, and a drawstring closure allows users to bolster their pillow power by adding additional puffy items within. When in transit it packs down to near nothing so I find I never leave home without it.